"CRISPR-Cas9 system can be applied as a new weapon at a molecular level to protect plants from DNA viruses"
CRISPR, Clustered Regularly Interspaced Short Palindromic Repeats, is a powerful genetic editing tool. It has been used to cure mice of sickle cell disease, fight cancer, and could someday help end Malaria. CRISPR has the potential to cure virtually any disease that is the product of mutations, such as diabetes or Alzheimer’s. 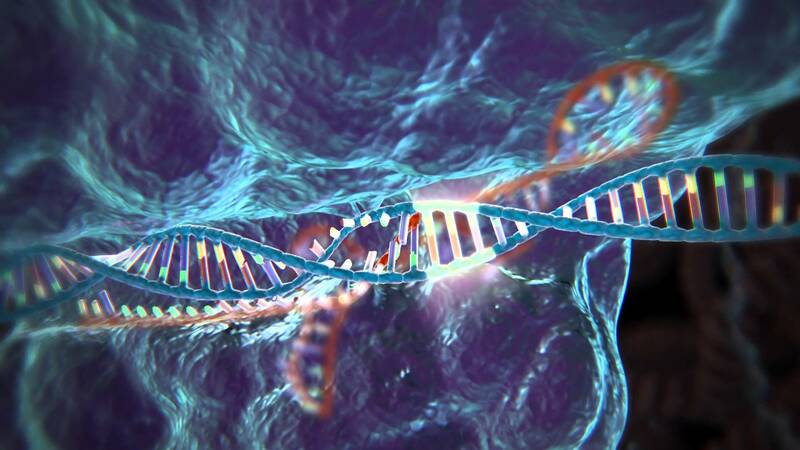 CRISPR, together with Cas9 (which helps it target a specific set of nucleotides to replace), can slice through DNA with ease and restructure it to fix what’s causing a genetic disorder. But CRISPR isn’t just for humans or animals – it can be used on any living organism, including plants. Geneticists at the Chinese Academy of Sciences in Beijing, for example, have discovered that we can restructure wheat genes to make them immune to powdery mildew. This could eliminate the need to use chemical compounds to control disease in crops. The challenge, according to MIT Technology Review, was that this is particularly tough to do in wheat because the plant has a hexaploid genome. The plant has three similar copies of most of its genes, thus, multiple genes must be disabled for the wheat to become resistant. Thanks to CRISPR, the scientists were able to change what’s genetic make-up without inserting foreign genes. Another example comes from researchers at Abdullah University of Science and Technology’s Center for Desert Agriculture. The team successfully gave tomatoes full immunity against the yellow leaf curl virus. Based on the reported results, “I believe that the CRISPR-Cas9 system can be extensively applied as a new weapon at a molecular level to protect plants from DNA viruses,” Jianwei Zhang of the University of Arizona and the Arizona Genomics Institute, who was not involved in the work, explained. According to study coauthor Zahir Ali, the team is now working to create plant lines that can pass on the CRISPR-mediated viral resistance to the next generation. The researchers are also testing the expression of the CRISPR/Cas9 machinery in tomato plants. CRISPR could usher in an era of super plants with yields higher than ever. Of course, mutation doesn’t come without risk –scientists haven’t had the opportunity to study the long-term implications of CRISPR. Despite this, it seems these advancements mark the beginning of a future filled with groundbreaking advances in genetic modification.